I am grateful this holiday season to you – our dedicated readers – for supporting Voice Media Ventures and Rants & Raves this year. 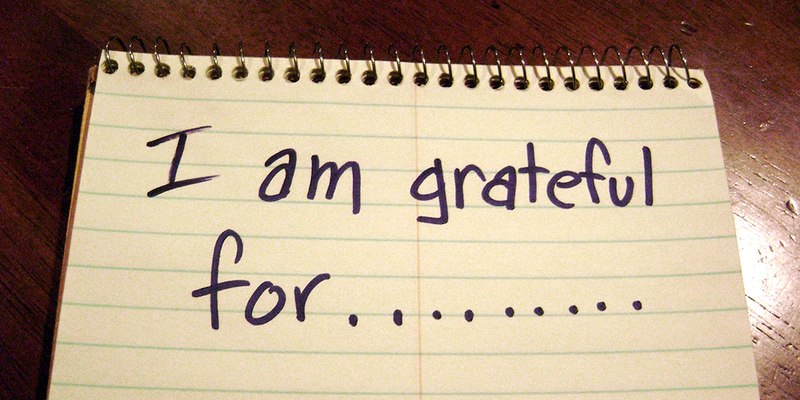 The following piece is a reprint of an article I wrote exploring the power of gratitude. Several years ago I decided to start keeping a gratitude journal. It wasn’t because I wasn’t grateful or even that I needed to remind myself to give thanks, it was instead, a practice of cultivating even more gratitude in my life. An intentional practice. A willful act. An opportunity to remember and reflect. According to Dr. Robert Emmons, a UC Davis professor and authority on the science of gratitude, research has shown that when people regularly cultivate gratitude, they experience a multitude of psychological, physical, interpersonal, and spiritual benefits. Gratitude, he says, also has one of the strongest links to positive mental health and satisfaction with life of any personality trait, “more so than even optimism, hope, or compassion.” Grateful people, according to his research, experience higher levels of positive emotions such as joy, enthusiasm, love, happiness; and gratitude as a discipline protects us from the destructive impulses of envy, resentment, greed, and bitterness. Emmons suggests a number of evidence-based strategies, including journaling, reflective thinking, letter writing, and gratitude visits, to be effective in creating sustainable gratefulness. As a longtime journal writer, I have found that not only does keeping a gratitude journal cultivate and encourage me to be grateful; I believe it attracts even more positive interactions and people into my life. Seek gratitude density. Give details. Be specific. Use the language of gifts. Think about the people to whom you are grateful and why. Think about and then write down those aspects of your life that you are prone to take for granted. Let your gratitude last a long time. Don’t only journal about people who helped you but also about those who have helped people whom you love. Be grateful for the negative outcomes that you avoided, escaped, prevented, or redeemed into something positive. I read that the ancient Roman philosopher Cicero called gratitude the queen of virtues. And as a virtue, the practice of gratitude leads to the practice of even more virtuous actions: love, forgiveness, patience, and kindness. Something we should all be mindful of as we begin this holiday season.